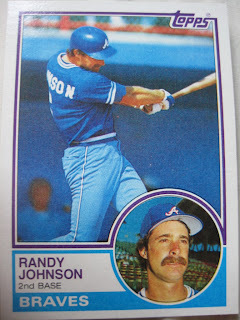 Randy Johnson played nine years of professional baseball, including three years in the major leagues with the Atlanta Braves, hitting .267 in 484 at bats. Currently the Minor League Field Coordinator for the San Diego Padres, he kindly answered my questions about baseball cards. Just that one of my cards has another Randy Johnson's stats on the back. 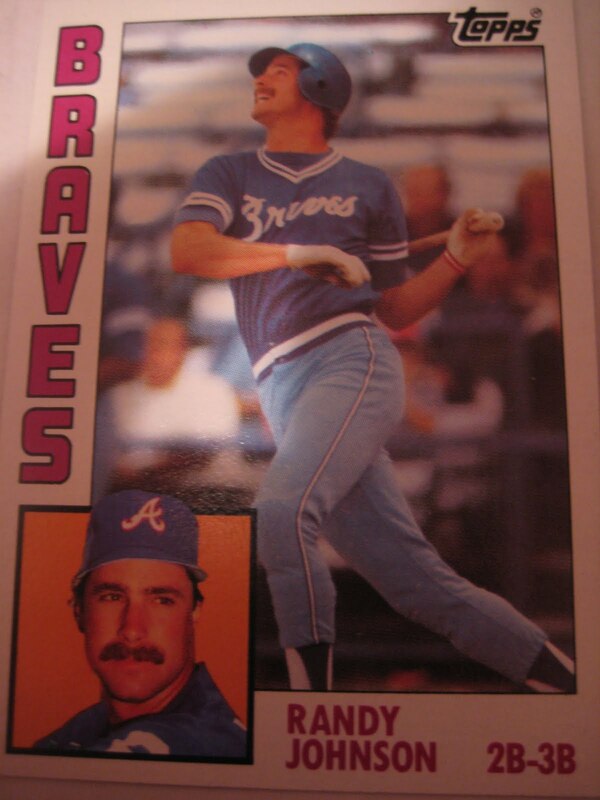 He played in the White Sox organization and was left handed. My favorite would be my rookie card. I do not collect cards but have gotten a lot of the (Big Unit) Randy Johnson's cards sent to me over the years.